The Sierra Nevada Spain is in Southern Spain in Granada province. Here are some other interesting details about this ski resort. 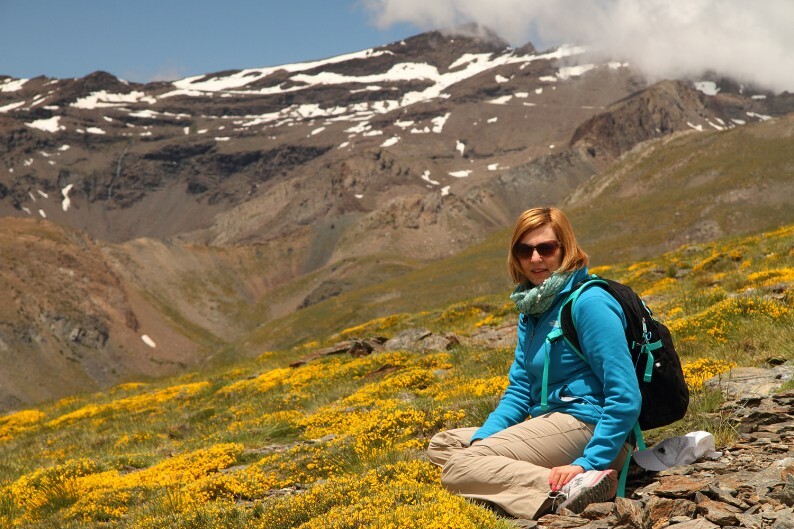 The Mulhacen peak is 3478 metres high (That´s about 11,410 ft.) and is the highest point of continental Spain. There are 66 plant species and 80 animal species native to the Sierra Nevada National Park. Sierra Nevada has been part of ¨La Vuelta a España¨ many times with the final stage of the race ending here. At 1200 metres it has the largest difference in gradient in any resort in Spain. The Super parque Sulayr has a 165 metre Half Pipe for freestylers and snowboarders. It is the most Southern ski resort in Europe. 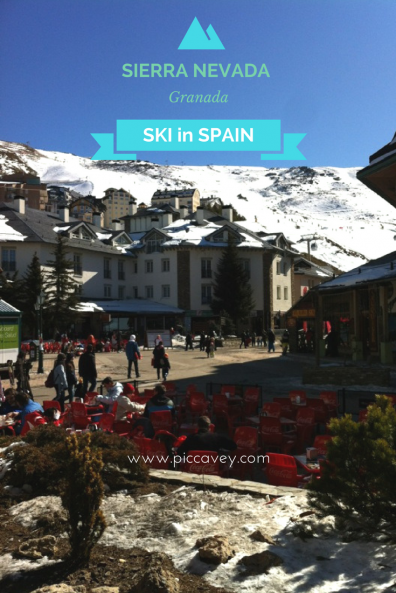 Enjoy lots of sunshine while you ski in Spain! There are several legends about the Sierra Nevada Spain. Once upon a time, there was a remote castle in the Alpujarra. A wealthy man lived there with his daughter whom he guarded as if she was a precious treasure. Upon reaching her 20th birthday, she was promised in marriage to a man in the village. 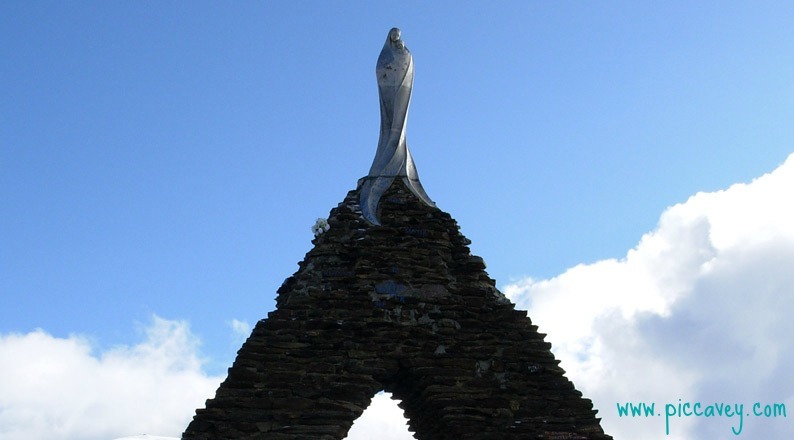 He had equal riches and power as her own father. However, he was rough and cruel. He didn’t know that she was already in love with a local shepherd. When the shepherd heard of her father’s agreement, he decided to run away with her. Even though he feared the cruel man may kill them. As night fell, the shepherd set out to meet up with his lover. Along the way to her house, a man who said he was the devil offered his help. He gave him a magic broom. He said that this broom brushed away the snow magically. He took the broom and they both fled to the Sierra Nevada Mountains up to the Pico Alcazaba. The magic broom brushed away the snow aiding their path to their hiding place. But when they had almost reached the top, the movement of the broom caused movement in the deep snow. This created a powerful avalanche and they were buried amongst the deep snow. The broom remained there up near the top of the Pico Alcazaba. Some say that it continues to cause avalanches even today. 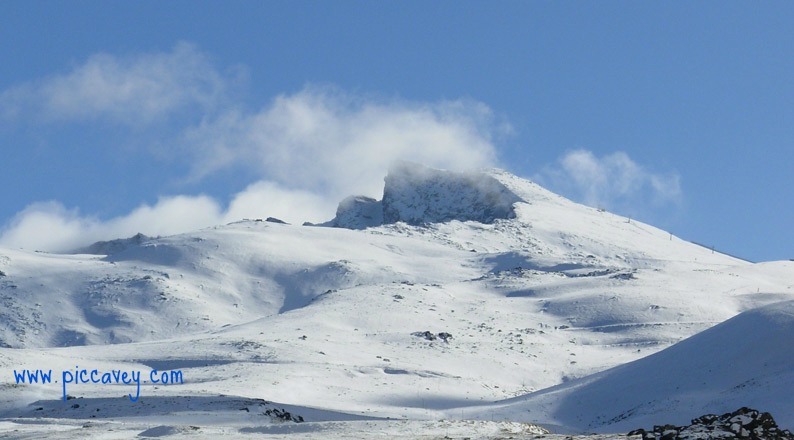 How to get to Sierra Nevada ski resort? You can fly straight into Granada airport from London City, Manchester and Gatwick. Both Easyjet and British Airways operate flights. 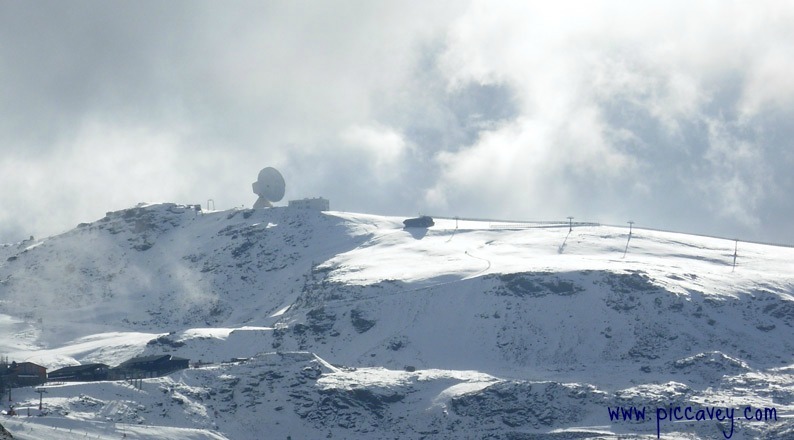 From Granada Airport GRX to the Sierra Nevada ski resort it´s about a 45 minute drive. Please note that snow chains maybe required on the A-395 if heavy snowfall affects the road to access the resort. From Granada bus station, there are buses that go up to the ski resort daily. Autocares Bonal runs the service. Tickets cost 5 euros one way and 9 euros for a return ticket. From Pradollano the bus stop is opposite the large underground car park in the centre of the resort. From Malaga, bus station buses run to Sierra Nevada once per day. This service is run by Alsa Tickets cost 16 euros one way and 32 euros for a return ticket. The bus leaves Malaga at 7am daily to the resort.